Turkey on Wednesday said neither its airspace nor a strategic air base on its territory were used in the latest US-led strikes against self-proclaimed Islamic State of Iraq and al-Sham (ISIS) insurgents in Syria, a Turkish official said. 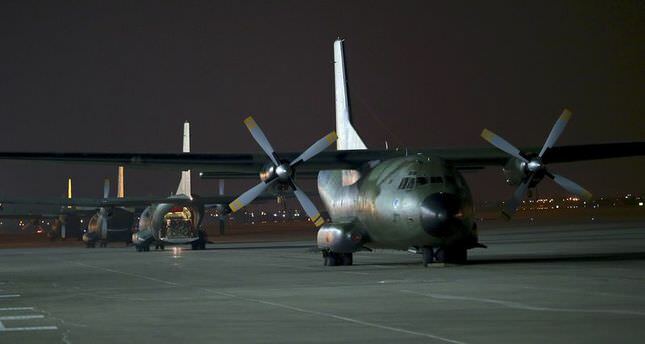 "The answer is clear: Neither the (Turkish) airspace nor the Incirlik (air base) were used," the official told AFP in Ankara on condition of anonymity. Incirlik air base in southern Turkey is used by both US and Turkish forces. Reports based on Syrian activists' accounts had suggested earlier that jets carrying out the latest strikes on ISIS targets inside Syria were seen coming from the Turkish side of the border. Turkey had so far remained hesitant to play an active role in the US-led coalition to defeat ISIS militants, who were holding dozens of its citizens including diplomats and children. Their release on Saturday has led to mounting expectations that Turkey will now step up its cooperation with NATO ally the United States. On Tuesday, President Recep Tayyip Erdoğan welcomed US-led air strikes against the radicals in neighbouring Syria, saying Ankara could provide military or logistical support for the air campaign. "What the president meant is to be open for all possibilities," the Turkish official told AFP. "There has been no change in our position," he insisted.